Want the fastest black-white and gray-to-gray response times on your next gaming laptop purchase? Then Asus will be the only option for now. The manufacturer has partnered with AU Optronics to develop 144 Hz/3 ms panels for Asus notebooks like the ROG Scar II, Hero II, and Zephyrus GM501. A popular trend over the past few years has been the race for narrower bezels, faster refresh rates, and faster display response times especially amongst gaming laptops. In order to check off these lucrative boxes, however, special panels made specifically for narrow bezels are required. An overlooked feature of the upcoming Asus ROG GL504 Scar II, Hero II, and Zephyrus GM501 gaming notebooks is that they will each carry 144 Hz/3 ms panel options. This is particularly notable because no other narrow-bezel laptop is currently offering this same display configuration. The MSI GS65 and Gigabyte Aero 15X, for example, have 144 Hz/7 ms panels from AU Optronics while 120 Hz/3 ms TN panels are available for most thick-bezel gaming notebooks like the GS63VR. So, why aren't MSI and Gigabyte updating their respective models to include the same 144 Hz/3 ms panels as on the new Asus systems? According to Asus, the OEM has partnered with AU Optronics to develop 144 Hz/3 ms panels for narrow-bezel designs. 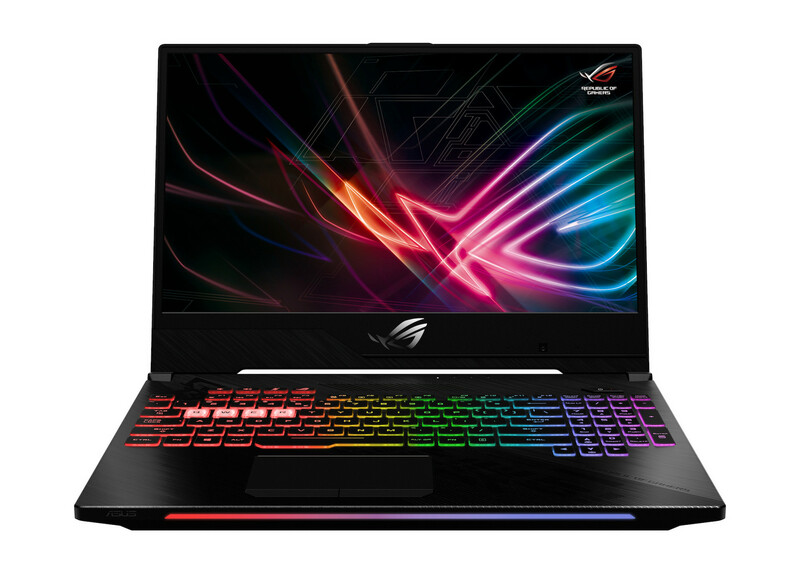 This gives Asus a contemporary lead in product development and their aforementioned gaming notebooks major advantages over alternative systems in terms of viewing angles, tearing, and smoothness during gameplay. Of course, AUO is not the only display panel manufacturer as laptop OEMs can also turn to BOE Display, LG Philips, Samsung, and Sharp. However, none have similar 144 Hz/3 ms narrow-bezel panels in mass production as far as we know. The Asus ROG GL504 Scar II, Hero II, and Zephyrus GM501 are all already available in market or will be very soon. Edit 26.06.2018: There is no exclusivity for Asus using a AUO 144 Hz/3 ms panel.